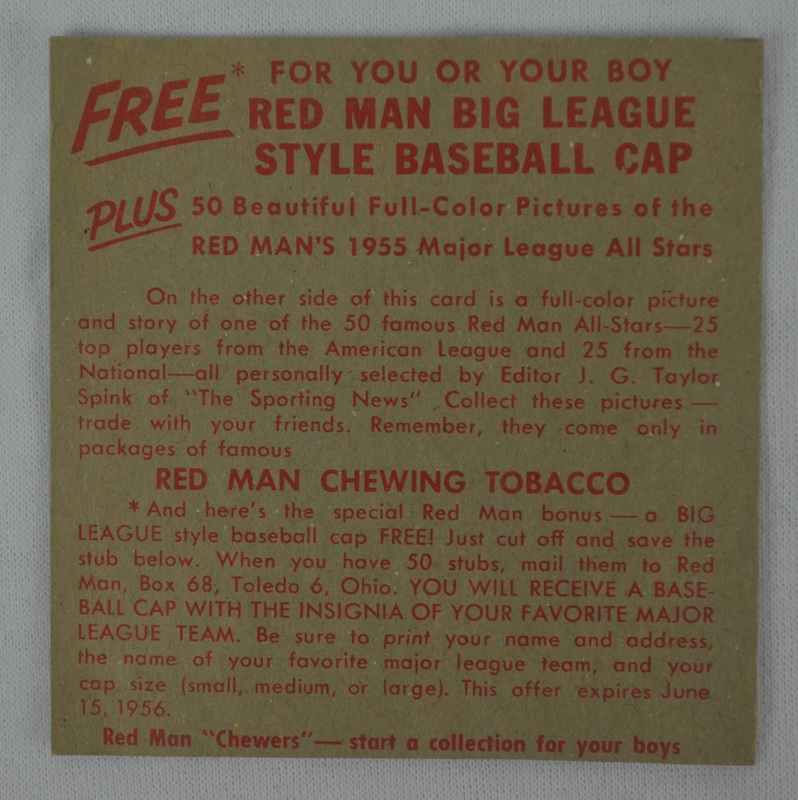 This lot contains a Gil Hodges 1954 Red Man Tobacco card. 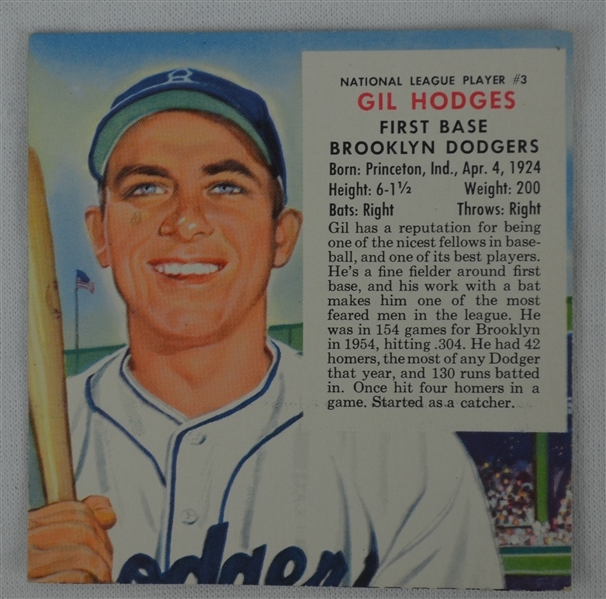 Hodges was first baseman and manager who played most of his 18-year career for the Brooklyn and Los Angeles Dodgers. He was inducted into the New York Mets Hall of Fame in 1982.